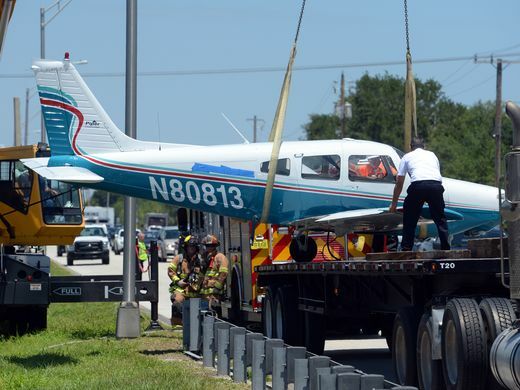 On May 7, 2018, at 1043 eastern daylight time, a Piper PA-28-161, N80813, operated by Paris Air Inc, was substantially damaged during a forced landing, after a total loss of engine power while on approach to Vero Beach Regional Airport (VRB), Vero Beach, Florida. 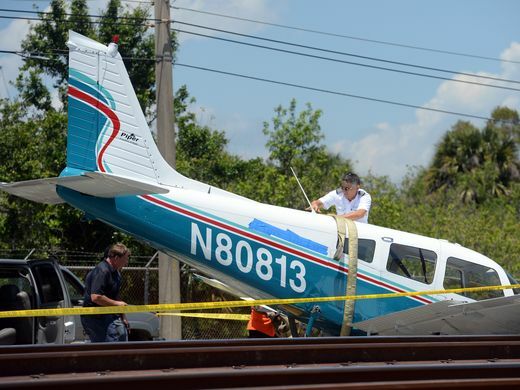 The flight instructor and a student pilot were not injured. 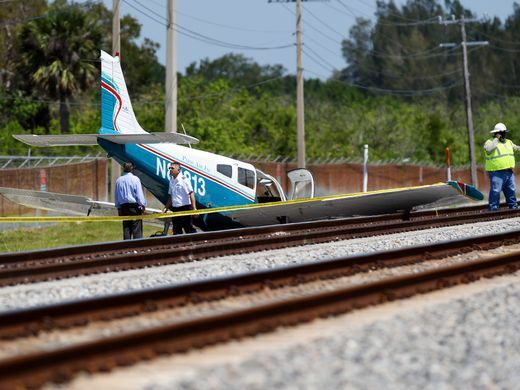 Visual meteorological conditions prevailed, and no flight plan was filed for the instructional flight which was conducted under the provisions of Title 14 Code of Federal Regulations Part 91. 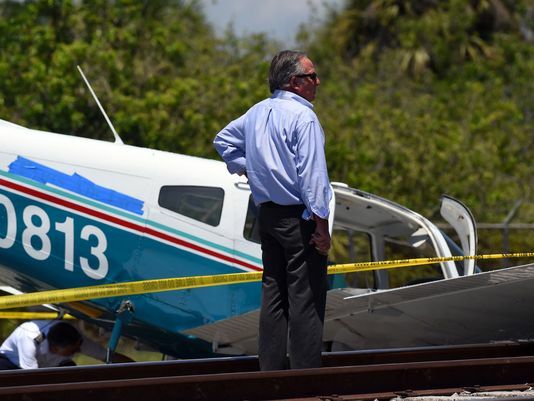 The flight instructor and the student pilot each provided written statements, and their recounting of events was consistent throughout. 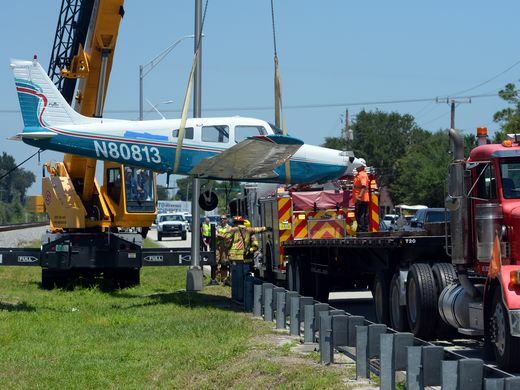 According to the student pilot, he had completed a right traffic pattern and as he turned the airplane from the base leg to the final leg, the engine power was "decreasing" and did not respond when he increased the throttle setting. 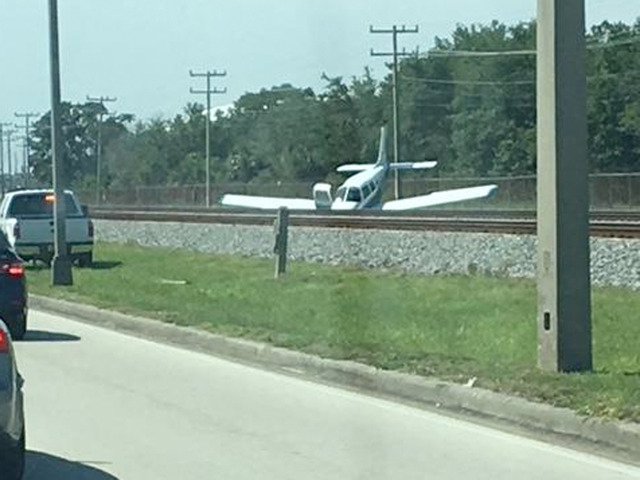 At that point, he surrendered the flight controls to the instructor. 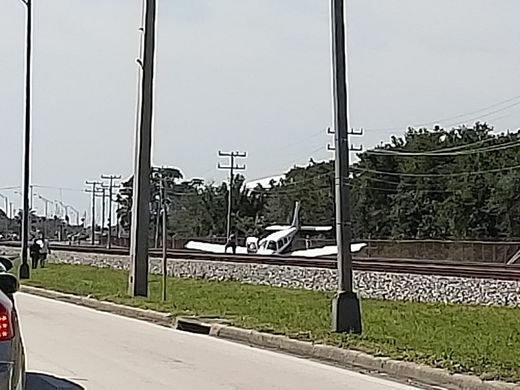 According to the flight instructor, as he assumed control of the airplane the engine "started running extremely rough" and the propeller rotated slowly. He initiated the "engine failure" checklist but could not complete it due to the lack of available time and altitude and instead chose to perform a forced landing to the railroad bed that was about 1/4 mile prior to the approach end of the runway and oriented perpendicular to the final approach course. 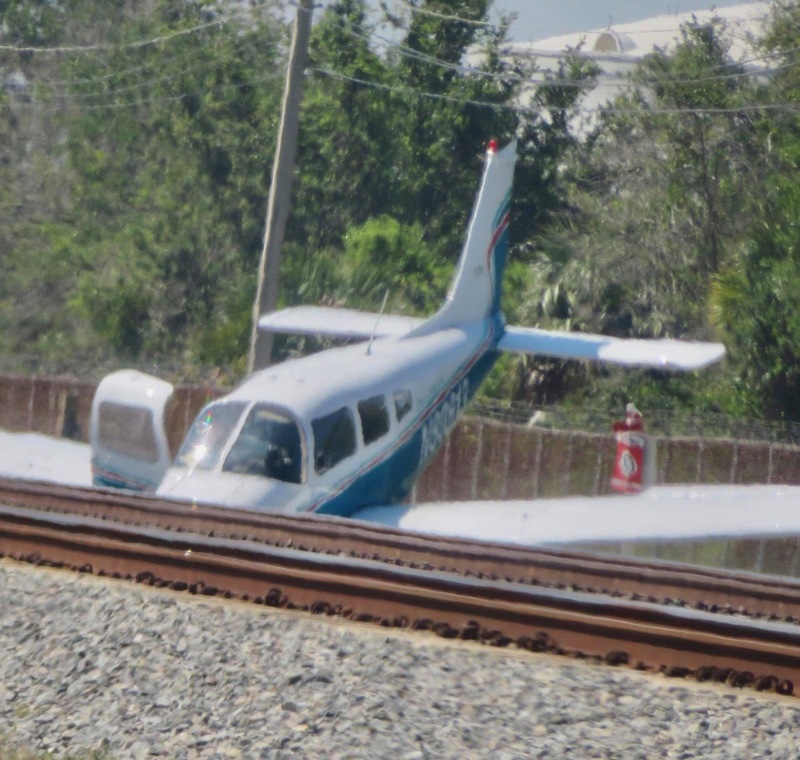 The flight instructor turned the airplane to the right, aligned with the railroad tracks, and landed "hard," which separated the right main and nose landing gear. 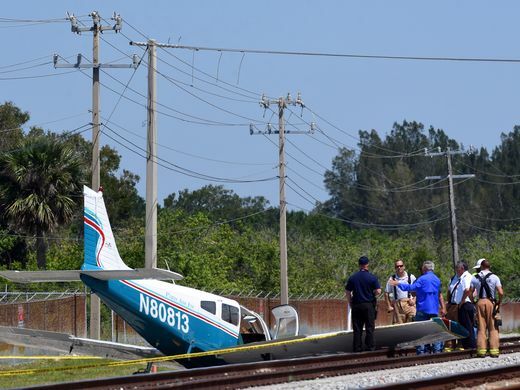 The flight instructor held a commercial pilot certificate with ratings for airplane single-engine land, multiengine land, and instrument airplane. 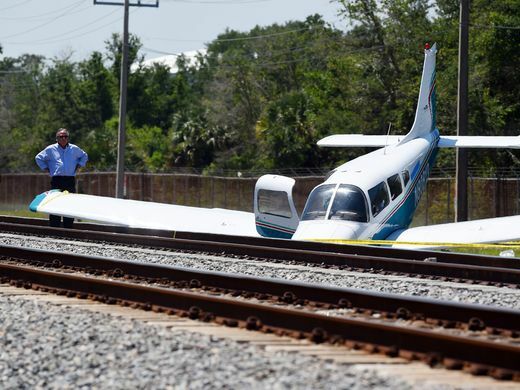 He held a flight instructor certificate with a rating for airplane single-engine. 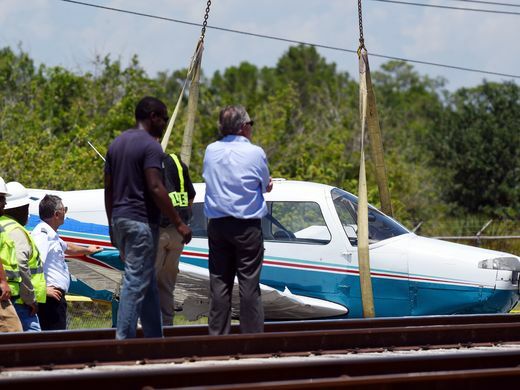 The flight instructor was issued a first-class medical certificate on April 7, 2015. 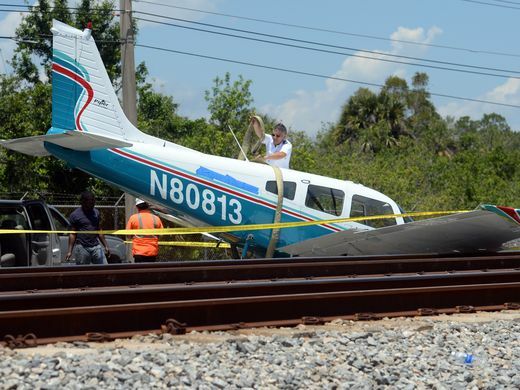 He reported 491 total hours of flight experience, of which 456 hours were in the accident airplane make and model. 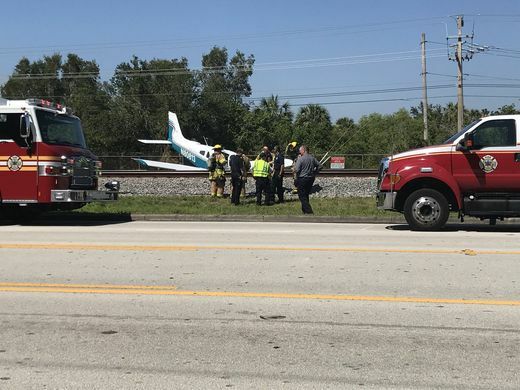 The student pilot was issued a Federal Aviation Administration (FAA) student pilot certificate and a first-class medical certificate on August 17, 2017. 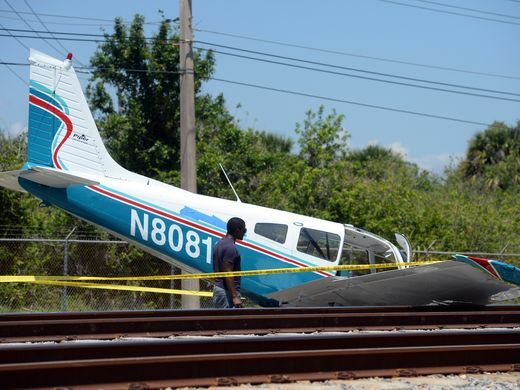 According to FAA records, the airplane was manufactured in 1979 and had accrued 12,557.3 total aircraft hours. Its most recent 100-hour inspection was completed May 1, 2018 at 12,544.8 total aircraft hours. At 1053, the weather recorded at VRB included clear skies and wind from 040° at 5 knots. The temperature was 27°C, and the dew point was 20°C. The altimeter setting was 29.99 inches of mercury. During recovery of the airplane, both main wing tanks and the carburetor float bowl were drained. Samples of the drained fuel were collected in 2 one-pint bottles and a one-quart bottle. The contents of each were divided approximately one-third fuel and two-thirds water. 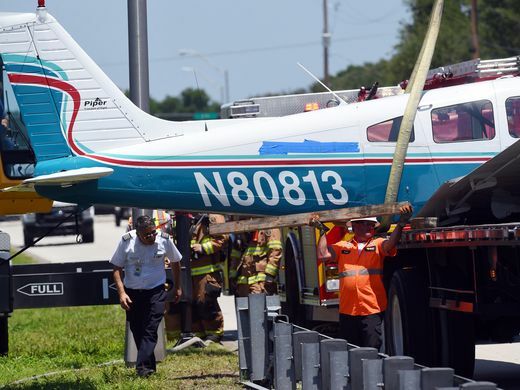 After recovery, an NTSB investigator connected an external fuel tank at the gascolator output and primed the engine. The carburetor case was cracked due to impact, and fuel dripped from the crack when the system was primed. An engine start was attempted, and after about two revolutions of the propeller, the engine started. According to the investigator, the engine ran smoothly after start, but he stopped the engine after a brief period due to the fuel leak. 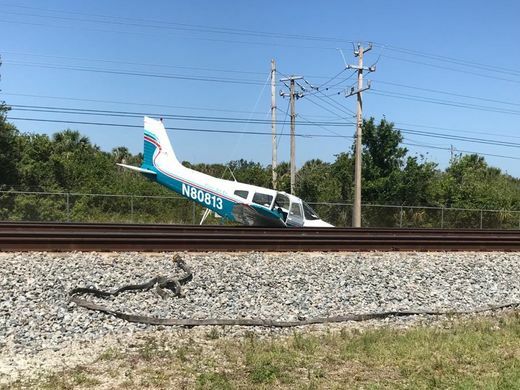 VERO BEACH — A flight instructor and his student were practicing "touch-and-go" landings Monday morning near the Vero Beach Regional Airport when the engine failed and the plane crash landed on railroad tracks off U.S. 1. No one was injured. 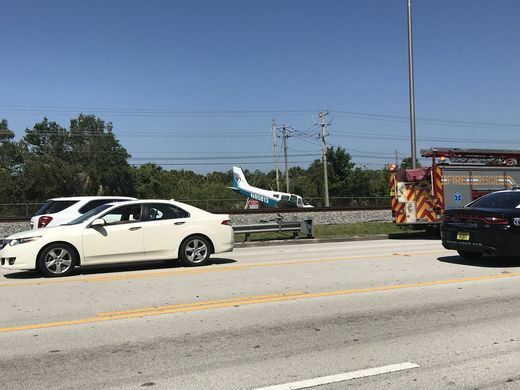 The Piper PA-28-161 Warrior II registered to Paris Air Inc. in Vero Beach, went down about 10:45 a.m. near 36th Street, in the 3500 block of U.S. 1, according to police. 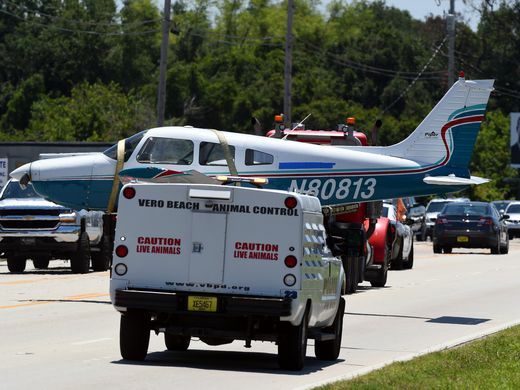 Touch-and-go landings are a training exercise that includes conducting takeoffs and landings multiple times in a row without coming to a complete stop in between each, Vero Beach police spokeswoman Megan DeWitt said. 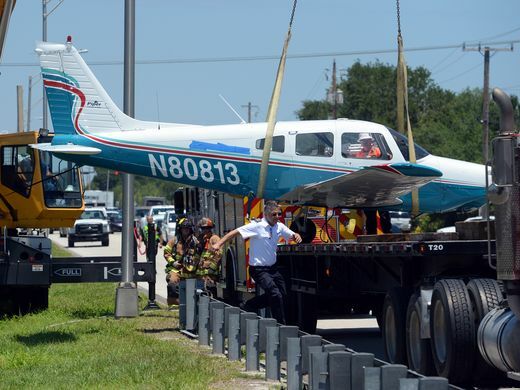 "At a second attempt at a landing, the engine stopped," DeWitt said. 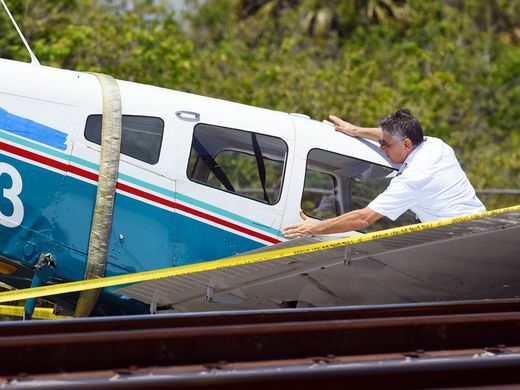 The pilot, Sean Malone, 28, was flying the plane at the time of the incident, said Cory Richter, assistant chief and spokesman for Indian River County Fire Rescue. 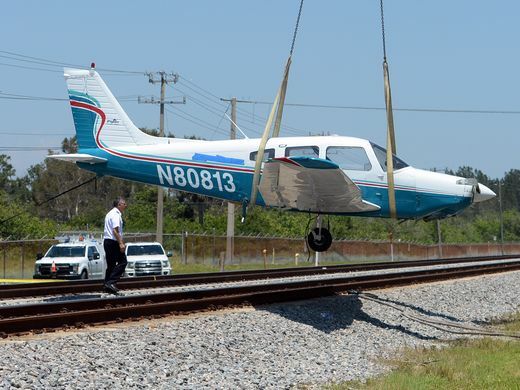 Malone was able to make an impromptu landing on the tracks, he said. 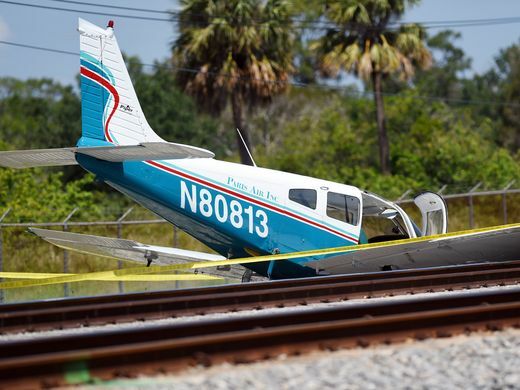 "They were going to land at the Vero Beach airport," Richter said. "The engine cut out on them." 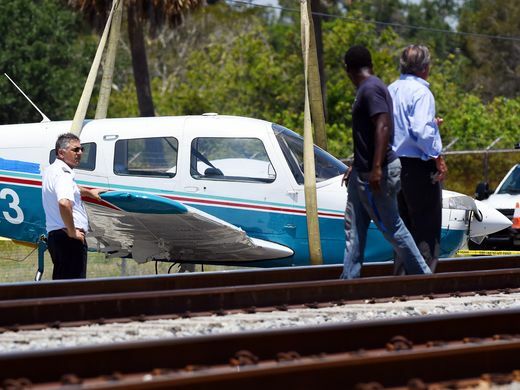 Officials with Paris Air, a flight-training school based at the Vero Beach airport, declined to comment about the crash Monday, or make Malone or his student, Hishim Eid, available for questions, citing an open investigation. 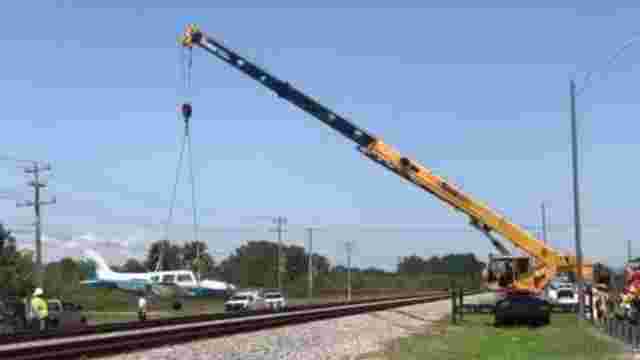 Police, who contacted Florida East Coast Railway to report the plane was blocking the rails, reported a train was not due in the area, anyway, for three hours after the crash. 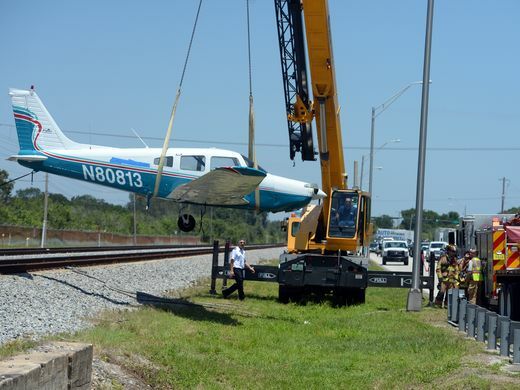 Both lanes on southbound U.S. 1 were closed about 12:30 p.m. as a crane removed the plane from the tracks, placed it in a truck and it was returned to Paris Air in the 3300 block of Airport West Drive. The road was reopened by 1:50 p.m.